I considered the classics. The Bicycle Thieves? Citizen Kane? Vertigo? La Règle du Jeu? Rashomon? Maybe even Alfonso Cuarón’s recently released Roma? There followed a pregnant pause. I might have stared with a mixture of shock and pity. “You mean by Richard Curtis?” I ask. To be honest, I did not respond as such. I just mumbled a “Yeah… maybe” and changed the subject. I was not in the mood to argue. Our exchange prompted me to consider how, during our lives, we need to challenge ourselves. Not everything should be easy to digest, whatever genre, including wine. You can manufacture fermented grape juice that will be catnip for a large swath of consumers, satisfying the lowest common denominators: simple, fruity and easygoing (unless it is champagne – then you just need snazzy packaging and bubbles). There is nothing wrong with that. The best wines, the ones we pay a premium for the privilege of drinking, have a duty to aspire toward complexity and/or articulate a specific place, whilst operating bound by rules with minimal manipulation. You might sacrifice mass appeal and divide your prospective audience. Yet that sense of honesty and transparency combined with typicité confers an intellectual dimension that elevates fermented grape juice into something possibly profound. Such wines demand a degree of understanding in order to be fully appreciated, some more than others. Case in point: Brane-Cantenac. It is a Margaux Second Growth that can divide opinion. It is not predesigned to appeal to everyone’s palate – not even every claret-lover’s palate. It can be austere and curmudgeonly in its youth. It is never inclined to dish out velvety textures, plump juicy fruit and a caressing finish. If it did, then that would be disingenuous toward its terroir. It rewards those with the nous and patience to age bottles for at least a decade (alas, a tradition countenanced less in this age of instant satisfaction or rejection). To understand Brane-Cantenac, we need to look at the now, but just as importantly, the then, which is what I intend to do in this article. Some readers will be aware that I have written about Brane-Cantenac in the past. After I joined Vinous, proprietor Henri Lurton invited me to repeat a previous tasting in even more comprehensive fashion, so much so that it obliged three visits to the estate, each one broaching a different era. Tipping almost 50 vintages back to the 1920s, this constitutes one of the largest Brane-Cantenac verticals ever published. Once more, Henri Lurton was kind enough to answer queries with respect to the vineyard and winery in detailed fashion. 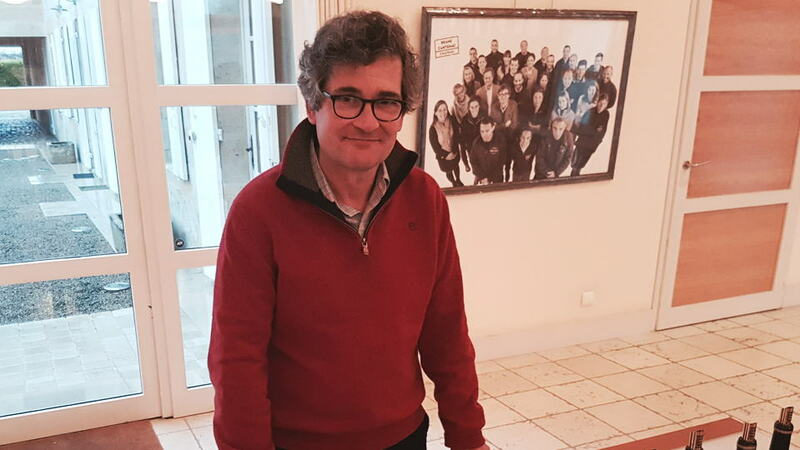 As we shall discover, although Brane-Cantenac might be perceived as the proverbial “classic claret,” Henri Lurton is not averse to utilizing modern techniques if he feels they improve the wine without obscuring the terroir. So first, let us go back in time to find where Brane-Cantenac came from. The genesis of Brane-Cantenac is an estate once known as Domaine Guilhem Hosten. Named after its 17th-century proprietor, around half its 35 hectares was recorded to be under vine, part of the seigneurie of d’Issan. Around 1735, it passed to the Gorce (or Gorsse) family. They had come to prominence under Pierre Gorce, a successful court prosecutor who renamed the family “de Gorce” to denote higher status. Pierre’s grandson François achieved high status upon becoming secretary to the King’s regional council in 1736. His son, also named François, married Elizabeth Josephe Estèbe in 1760 and together they became parents to Marie Françoise de Gorce four years later. Unfortunately, both parents passed away soon after her birth. Being orphaned apparently instilled an indomitable spirit. Marie Françoise successfully amalgamated vineyards and promulgated her wine up toward the upper rungs of the Bordeaux hierarchy. The Tastet et Lawton archives record that between 1741 and 1774, Gorce achieved an average of 686 francs per tonneaux, just one place behind Brane-Mouton at 716 francs per tonneau. Thomas Jefferson deemed Gorce worthy of Third Growth status in 1787 and according to André Simon, at the end of the 18th century, the wine demanded around the same price, £20 per hogshead, in England. Marie-Françoise remarried to the mayor of Cantenac, Jacques Saint Aubin Guy, and from 1805, ownership transferred to her husband, who renamed the estate Gorce-Guy. But a namesake estate was obviously not enough. In July 1833, he sold the estate to Baron Joseph Hector de Brane, whose ardor for Gorce-Guy was such that he sold his Pauillac estate, Brane-Mouton, in order to finance the acquisition. He subsequently expanded acreage and doubled production. More importantly for the region, he proselytized Cabernet Sauvignon as a cornerstone of Bordeaux and persuaded many of his peers to cultivate the noble variety – ergo his sobriquet of “Napoléon des vignes.” Denizens of Cantenac would purportedly remark that “le Baron de Brane soutire ses vins” (the Baron is racking his wines) whenever a westerly wafted the perfume of fermenting must down the hill. In 1838, the Baron de Brane wrote in Le Producteur that the improvements he had instigated over the previous four years entitled him to rename the estate. He wrote: “For while the name of Gorce is highly regarded in Bordeaux and further afield, but that of Brane no less so. In any case, rightly or wrongly, through self-indulgence or pride, I believe in my name and I would like, with your help, to phase out the name Gorce and replace it with Brane-Cantenac.” It was essentially a marketing ploy, but it paid dividends when the estate was awarded Deuxième Cru status in 1855. The 1868 edition of Féret records that Brane-Cantenac consisted of 50 hectares of vine producing between 80 and 100 tonneaux per annum that sold for between 3,000 and 4,000 francs per tonneaux. 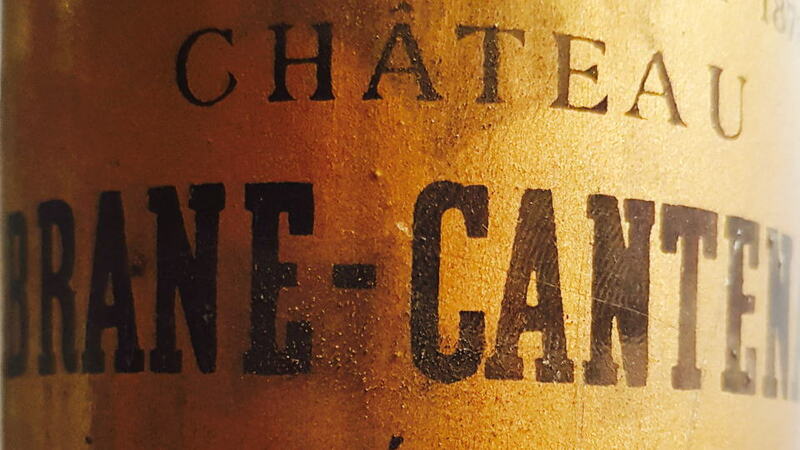 In 1866, Brane-Cantenac was sold to Gustave Roy, president of the Chamber of Commerce in Paris, his wife and his brothers-in-law, George and Casimir Berger, an engineer and négociant, respectively. The price was a cool one million francs. I imagine they were soon searching for their receipt, because oïdium and phylloxera landed on their doorstep. Yet by the end of the 19th century, the Féret guide noted that production had increased to 125 tonneaux per annum. Even better, Brane-Cantenac’s reputation stood shoulder-to-shoulder with fellow Second Growth, Mouton-Rothschild. In 1899, Brane-Cantenac was purchased for 675,000 francs by Société des Grands Crus de France, château records describing them as a “consortium of merchants and growers.” Their portfolio included no less than Châteaux Margaux, d’Issan, Giscours, Lagrange and Coutet, inter alia. In 1925, they subsequently auctioned off their assets and Brane-Cantenac was purchased by one of the shareholders, Léonce Récapet, a distillery owner from Entre-Deux-Mers. Léonce had turned 67 and since his son had died in World War I, he ceded control to his daughter Denise and son-in-law François Lurton. François was described by Bernard Ginestet as “a present-day Marquis de Carabas of the vineyard,” a reference to the nobleman in Puss In Boots. Léonce passed away in 1943. By that time, François had already commenced dividing the estate between his ten children to avoid inheritance duties, so Brane-Cantenac was bequeathed to his second son, Lucien Lurton. Lucien might have rued his luck when half the vineyard was decimated by late spring frosts that same year and nary a drop of wine was made. He jumped over that icy hurdle and continued to pursue quality, declassifying the 1960, 1963 and 1968 into a Bordeaux AC under a second label, Château Notton. But he enjoyed moments of good fortune. For example, a team of Spanish pickers arrived a week early to pick the grapes in 1964. Putting them to work rather than leaving them to twiddle their fingers meant that Brane-Cantenac escaped the storms that ruined the potentially good Left Bank vintage. After François died in 1971, his son continued to expand the estate, not just acquiring vineyards, but purchasing swaths of forest in Avensan and Arsac, clearing trees and planting more vines. This zealous expansion, not necessarily in the most propitious areas, led to a dip in quality. Moreover, Lucien had a predilection for mechanical harvesters, often picking the Merlot very late and prioritizing quantity over quality. Repeating François Lurton’s divvying up of his portfolio in the 1940s, in 1992 Lucien split his portfolio amongst his 10 children (the Lurton family must send a lot of Christmas cards each year). 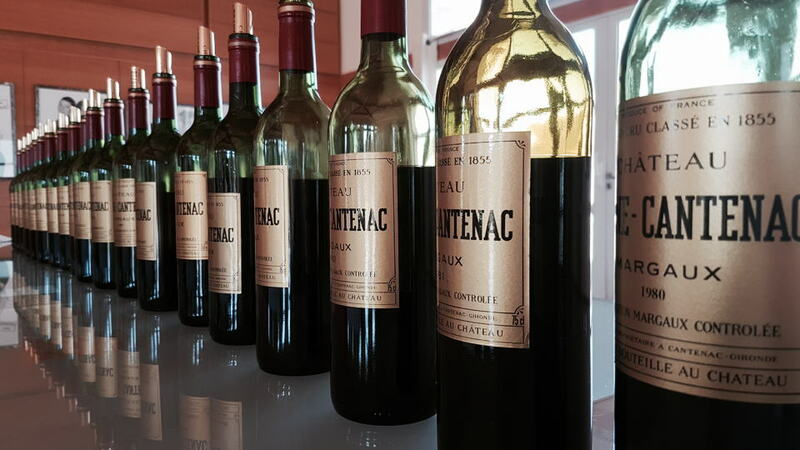 In fact, Brane-Cantenac is a tripartite ownership between Edwige, Thierry and Henri Lurton. However, it is oenology-trained Henri Lurton who has worked at the estate since 1986 and is presently at the helm. Henri Lurton posing with one of the flights. Germane to wines covered in this article, I asked Lurton about differences in the principles between his father and himself with respect to vineyard husbandry and winery practices. He answers exactly the same as when I inquired two years ago. There are 75 hectares under vine at Brane-Cantenac, which is located on deep Quaternary gravel that probably date from Günzian and Mindel glaciation cycles. At the heart of the vineyard is a 45-hectare block dating back to the Gorce estate known as Le Plateau de Brane. At 22 meters high, the gravel becomes 12 meters deep, which, along with a low water table, forces roots deep into the subsoil. The incline allows water to drain easily while clay content retains moisture during drier spells. At the rear of the château building is a further 15 hectares on Quaternary gravel with a higher water table and sandy-gravel soil composition, where the tannic structure of the resulting wine is different. Overall quality ensures that it nearly always ends up in the Grand Vin, though recent replanting obliges some parcels to be deselected until vines reach maturity. On the opposite side of the road lies a third 10-hectare parcel, La Verdotte. While the soil composition is similar to Le Plateau de Brane, it is less uniform due to iron concretions and as a consequence can only be approached on a plot-by-plot basis. Finally, the 13-hectare Notton vineyard contains coarse gravel with less clay and is more sensitive to the water table, which was lowered by four meters after a drainage program in 1994. 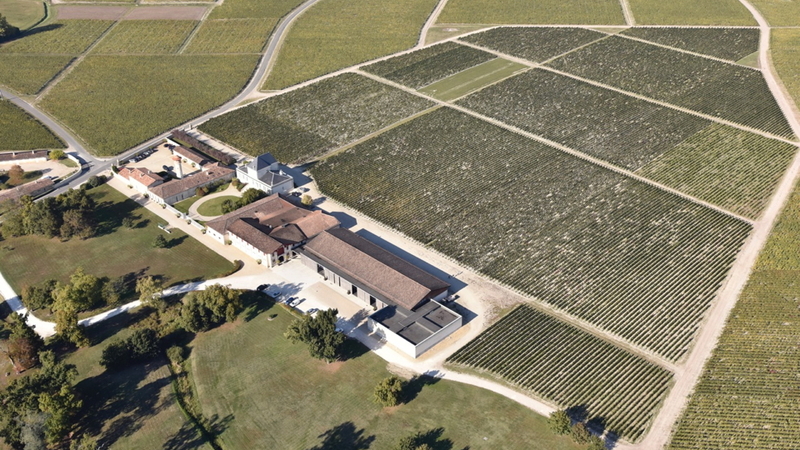 An aerial view of the vineyard courtesy of Brane-Cantenac. The general composition of the vineyard is 55% Cabernet Sauvignon, 40% Merlot, 4.5% Cabernet Franc and 0.5% Carménère with an average vine age of 35 years and a planting density of between 6,666 and 8,000 vines per hectare. While Lurton told me that the field blend has changed over the years, one constant is that vines planted on the plateau enter the Grand Vin. A long-term replanting program began in the 1990s, and parcels of Cabernet Franc and Merlot have been replaced with Cabernet Sauvignon; the aim is to continue to focus on that grape variety in the future. Also of note is that Brane-Cantenac maintains a high trellising system to maximize photosynthesis, while pruning branches low in order to benefit from the reflective heat from the gravel soils. Following a pre-fermentation cold soak, the wine is fermented in oak, concrete and stainless steel vats ranging from 40 to 200 hectoliters, tailored to specific vineyard plots. Tannin extraction and roundness is enhanced via co-inoculation with lactic bacteria for the earliest-fermenting vats. Starting in 1987, the must was punched down, but that method was superseded in 2000 by the use of a Socma Turbo Pigeur, whereby the cap is flooded and broken up with the fermenting must. The estate has used a reverse osmosis machine in the past, although when I broached this topic with Lurton, he told me that it has been rarely used because of dry growing seasons. Yet he admitted that it is useful when rain causes last-minute dilution just before picking, and he finds it better than bleeding the vats as the wine retains more natural qualities. After malolactic fermentation, the wine is aged on its lees for two months in order to reduce astringency, and the assemblage is done with the consultancy of the Boissenot laboratory. Six cooperages are used for the maturation: Seguin-Moreau, Taransaud, Nadalié, Demptos, Radoux and Boutes. The second wine is aged for 12 months in oak, the Grand Vin usually 18 months depending upon the vintage, and racked every three months for the first year and every four months thereafter. The oldest bottle at the tasting, the 1924 Brane-Cantenac. These wines were all tasted at the property during visits in spring 2018. The oldest vintages – i.e., pre-1961 – are not from château reserves but from a private collector who sold his bottles back to the property. I was just lucky that one of my visits coincided with their arrival and Henri Lurton wanted to share them, if only to discover whether they were still drinking. There are too many wines to broach individually, though covering such a wide period of time, one can see how standards swing over the years. Ancient vintages are very rarely seen. Unfortunately, the Lurton family was not inclined to maintain a library of stock and their ancestors drank a lot of history. So we are lucky to have access to the aforementioned cache from a private collector. Lurton opens some of these, including 1924, 1959, 1961, 1962, 1964 and one or two from the 1970s. Here is the remarkable thing. Initially these look threadbare and jejune. I harbor high hopes for the 1924 Brane-Cantenac and yet the wine appears freshly exhumed from the grave. Oh, well. We forget about it and tackle more recent vintages. After a couple of hours, curiosity gets the better of me and I re-pour the 1924. It has undergone a Damascene resurrection, becoming fresh and vital as doubtless it would have been in its youth. 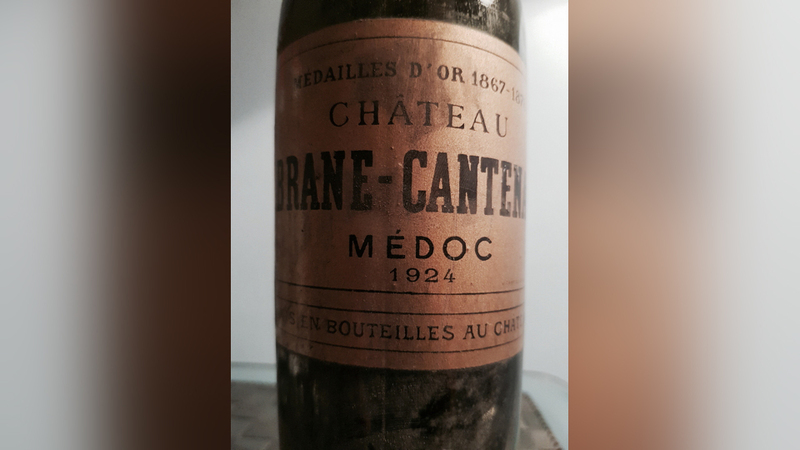 Both the 1924 and the excellent 1928 attest to a period when Brane-Cantenac fulfilled its potential, even if I would not rank the latter as a top-tier 1928. 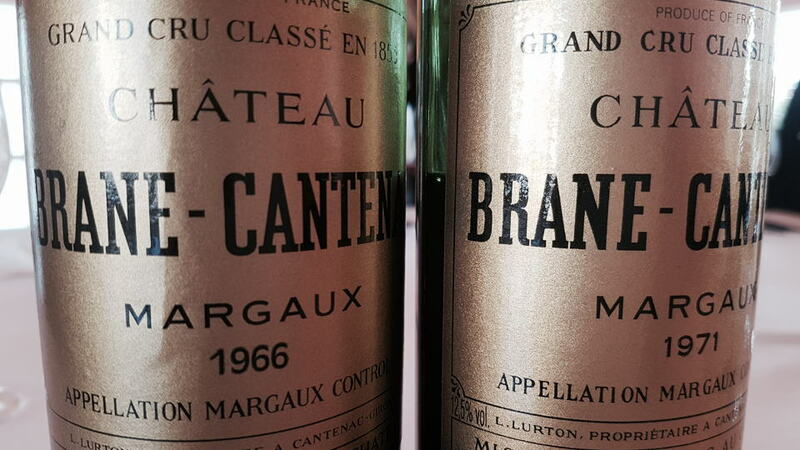 The 1959 and 1961 Brane-Cantenac are both very fine, particularly the latter, a vintage tasted three times over the year, and while again, I do not class it among the best 1961s, it is sturdy, fresh and full of substance and would probably surpass its underperforming First Growth neighbor. Well-kept bottles will continue to give pleasure, but it is rustic. In fact, the 1966 Brane-Cantenac vies for the best wine of the decade, better than the 1962 and disappointing 1970 Brane-Cantenac. The latter reflects a prolonged period when Brane-Cantenac just did not produce wines that cut the mustard. There is a brief flicker of hope thanks to a far better than expected 1971 Brane-Cantenac; however, the 1975 and 1978 Brane-Cantenac are faded, dry and rather mean. They stretch the idea of “classic” Claret beyond enjoyment. From the 1978 Brane-Cantenac, this report includes every vintage up to the present from the château cellar, except the 1979, which I procure in Burgundy, of all places, and which turns out to be an unexpected delight. The 1980s was a tricky decade for the estate. On the one hand, the growing seasons were far more benevolent than the 1970s. Therefore, there are lovely, classically styled wines such as the 1983, 1985 and 1986 Brane-Cantenac, and my pick of them all, the wonderful 1989 Brane-Cantenac. This is the peak of the pre–Henri Lurton era, in some ways predicating the wines of the post-2000 era. The problem during this period is inconsistency. In difficult growing seasons, the wines fall flat on their faces. Brane-Cantenac is not alone in that respect. Green harvesting, low yields, meticulous picking and deselection were not widely practiced, and none were practiced at Brane-Cantenac. That might be inconsequential in great vintages; however, it can be severely detrimental when the growing season is challenging. The 1981, 1984 and 1987 Brane-Cantenac are long past their respective drinking windows, with few redeeming features. I suspect they had few redeeming features when released. I have been consistently disappointed with bottles of 1990 Brane-Cantenac. You cannot blame Mother Nature. It seems a case of lackadaisical practices in terms of picking and vinification that resulted in an ordinary wine in an exceptional vintage. It augurs a difficult period of transition from Lucien to Henri Lurton. What can I say about the wines from the first half of the 1990s that has not been written before? They are just mean ’n’ green. Even someone with a predilection for off-vintages like myself must advise readers to steer clear. The 1995 Brane-Cantenac is the first success for Henri Lurton, this vintage in a different league than the previous five thanks to more fruit, more density, better ripeness and more harmony. It continues to drink well after 23 years. Yet it is not followed up by a solid 1996, a vintage that played into the hands of Cabernet Sauvignon. Perhaps if the estate possessed a higher proportion of plantings they would have made a superior wine. The late 1990s was a so-so period for Brane-Cantenac, indicative that improvements take time to be translated into a glass of wine. The 2000s is where Brane-Cantenac really starts to fulfill its potential, Lurton putting the estate back onto a more solid footing. From the excellent millennial vintage onward, there is greater precision and complexity, and the terroir is better articulated. Yes, there are blips such as the 2003 Brane-Cantenac, that mercilessly hot vintage never benefitting Margaux as it did the more northerly Pauillac and Saint-Estèphe, while I expect more from the 2008 Brane-Cantenac at 10 years of age. Fortunately, the 2009 and 2010 Brane-Cantenac are brilliant wines that take quality up another level, and even a wretched growing season like 2013 produced a decent if short-term wine that would have probably been barely drinkable had it been made in the 1980s or early 1990s. Then the three most recent vintages, 2014, 2015 and the recently bottled 2016 Brane-Cantenac might well be the best three consecutive wines produced at the estate. So there we have it, Brane-Cantenac, the Pauillac of Margaux, the long-distance runner. It is a château that has clearly had its ups and downs over the years. There is no denying that there are periods when it lost its way and the wines simply did not pass muster. It is traditional claret from tip to toe. Behind the scenes, it is clear that Henri Lurton and his team are making improvements and yet remarkably, the contents of the bottle remain consistent and true. To repeat my assertion in the introduction, it does not dish out succulent fruit and it is not going to compromise for those unwilling to cellar the wines for a few years. As Lurton said, it is a long distance runner. You have to stick with it when bottles close down, because at some point it will reopen with captivating secondary aromas and flavors. 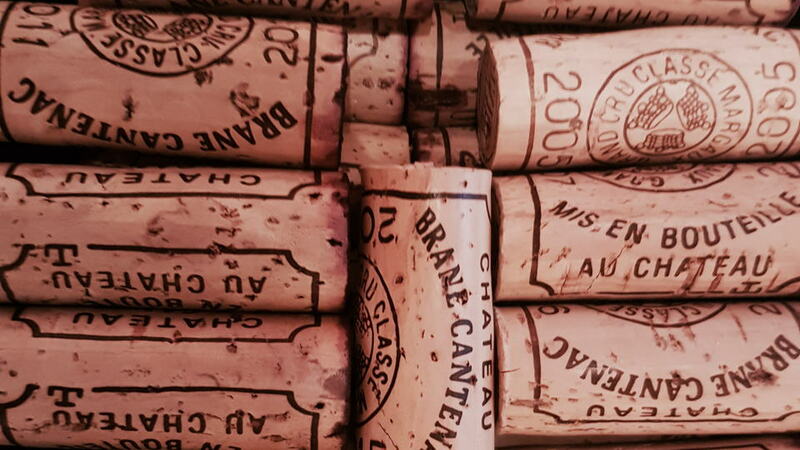 Brane-Cantenac can be a challenging wine. That is part of its DNA, why people love it and others do not, but at least that proves that it has always been true to itself, stylistically never following fads or fashions. All it asks is to be understood. And so perhaps I need to understand the film Love Actually. I re-watch it just before Christmas. It’s still rubbish.